The Kivuli Project was founded in January 2010 in response to the closure of a school in Kenya. A small number of orphaned and vulnerable children, who boarded at the school and considered it their home, were at risk of being displaced following its closure and were subsequently identified as being in need of care and protection. 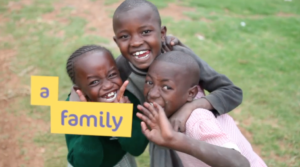 After unsuccessful attempts to place these children into other organisations, Daniel and Dee Rutherford felt God calling them to Kenya to start a home for these children. The children were relocated to new, temporary accommodation where they began attending a Government school, maintaining regular contact with their relatives throughout the year. A Board was formed, and it prayerfully considered whether the project’s end goal was to place the children into other organisations and disband, or to continue caring for Kenyan children into the future. The decision was made based in-part on the following; registration as an NGO and CCI were secured, financial support was exactly what was required and no other appropriate organisations were found that could care for the children. The Kivuli Project has since continued to care for the children in temporary accommodation. Throughout this time, the Board has been working to develop the Project’s philosophy, the way to achieve its vision. This process is expected to be completed by the end of the year; however it is clear that to be effective, Kivuli Project must look beyond caring for the children. It must engage with a community to reduce or prevent situations of extreme poverty, family breakdown and ill-health. Kivuli Project has an exciting journey ahead.